Making a name for himself as Newy's resident 'old-fashioned' folk musician, Smith is an artist that loves to honour the music of our past, present and what will become our future. 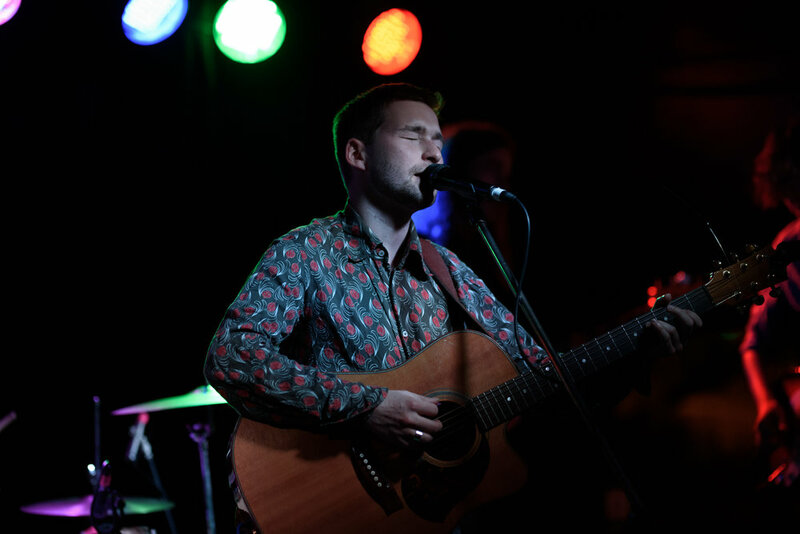 Originally entering the scene as part of QnRoo, a band formed whilst at The University of Newcastle in 2012, Smith has come a long way since his early uni days. Since then, Smith has joined up with local musicians Alex Quayle (drums), Brennan Fell (bass), Carter Smyth (Piano) & Mitch Williamson (Saxophone), to form a band that bring their heart & soul to every live performance. The energy is truly something special and has been witnessed by some stellar crowds, such as the one's at The National Folk Festival, a major event for folk lovers & muso's held in Canberra every Easter. These lads know how to put on a show & it's always full of fire. You'll often find that Smith's sets consist of revitalised old classics and originals that are testaments to the artists he holds near and dear. You'll hear a lot of classic sounds in Smith's work and this is even more evident in his debut EP, Three & Two Halves, which came out in October 2017. The EP showcases such a sophisticated sound which is perfectly accompanied by his raw raspy vocals and a whole lotta soul. It's a super sophisticated EP that beautifully shows off Smith's incredible talent and the amazing teamwork on display among him & his band members. It's a real treat & one best to divulge into live. I’ll be playing two sets of my favourites (blues, old pop, some originals) with a few harmonica solos thrown in for extra vibe. It would be great to see some of the traditionally cover gig venues put on some local original bands every so often. I think the right bands would go down a treat and get the original scene out to a wider audience. Moor for a coffee, Habesha for a feed, Glenrock for a vibe. There you have it! To check out more about Truman Smith & his band, you can find gig updates, new music and other goodies via the social links below. I also recommend you check Smith's set out at Winter Live: Unplugged on the 23rd of June!